Sound off on censorship! Join the national literary community from September 23 through September 29, 2018 to celebrate your right to hear powerful stories. The 2018 theme is “Banning Books Silences Stories. Speak Out!” As the ALA reminds us, censorship succeeds when no one talks about it. Encourage readers to raise their megaphones and speak out for banned books. And of course, audiobooks are the perfect way to truly give these banned books a voice. 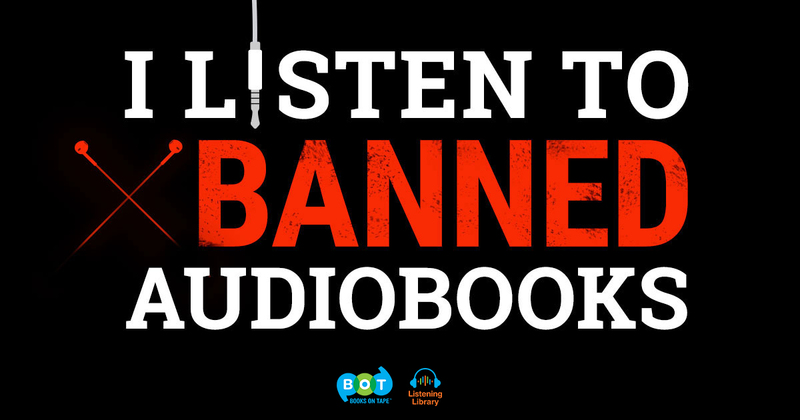 Listen to a banned or challenged audiobook: Choose an audiobook from our featured collection and share our “I Listen to Banned Audiobooks” badge to spread the word about this important celebration. Listen to and share this wonderful Judy Blume interview to get your community talking about the issue of censorship. Listen here. Organize your own Banned Books Week event: Gather together to discuss influential challenged audiobooks or choose an audiobook to listen to together as a community. 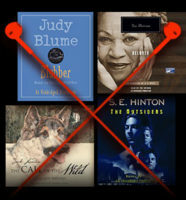 Create a banned audiobook display: Encourage patrons to read and listen by creating a display of frequently challenged books. Find ideas for creating a display here. Participate in the Dear Banned Author Letter-Writing Campaign: Find out how your community can participate in the event here. Find more suggestions for ways to celebrate on the American Library Association website. Follow us on Facebook and Twitter for more Banned Books Week news. Check out #BannedBooksWeek on Twitter for more great content. Think books aren’t banned today? Think again. compiled by the American Library Association’s Office for Intellectual Freedom (OIF). 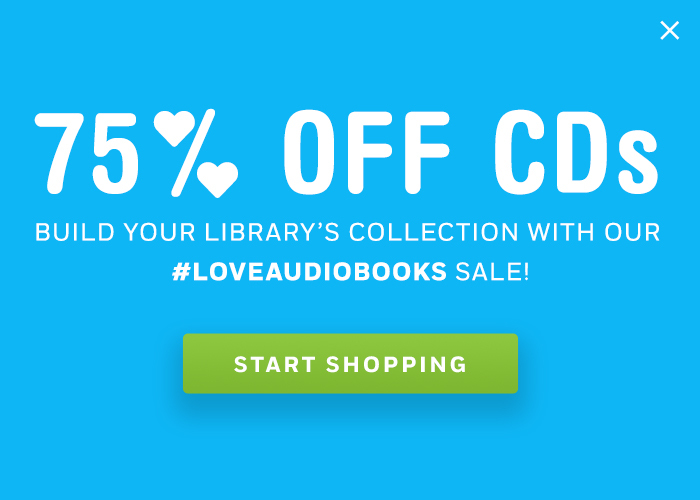 Click here to view our featured collection of frequently challenged audiobooks, compiled from the American Library Association’s list of challenged books. You can also visit bannedbooksweek.org for more information and ideas. A challenge is “an attempt to remove or restrict materials, based upon the objections of a person or group. A banning is the removal of those materials” from schools and libraries. According to the American Library Association, more than 11,300 books have been challenged since 1982. Challenges are usually well-intentioned—often to protect children from “difficult ideas and information.” However, censorship of constitutionally protected speech for any reason violates the First Amendment. Furthermore, some of the most frequently challenged books are widely revered classics. Although they tackle difficult subject matter, these powerful stories are also thought-provoking, inspirational, and expose readers and listeners to worlds outside their own.